Department of Communication recent alumni are making contributions as standouts in their communities, workplaces, alma mater and more. Following is a sampling of the great accomplishments of the men and women whom we are proud to call our alumni. 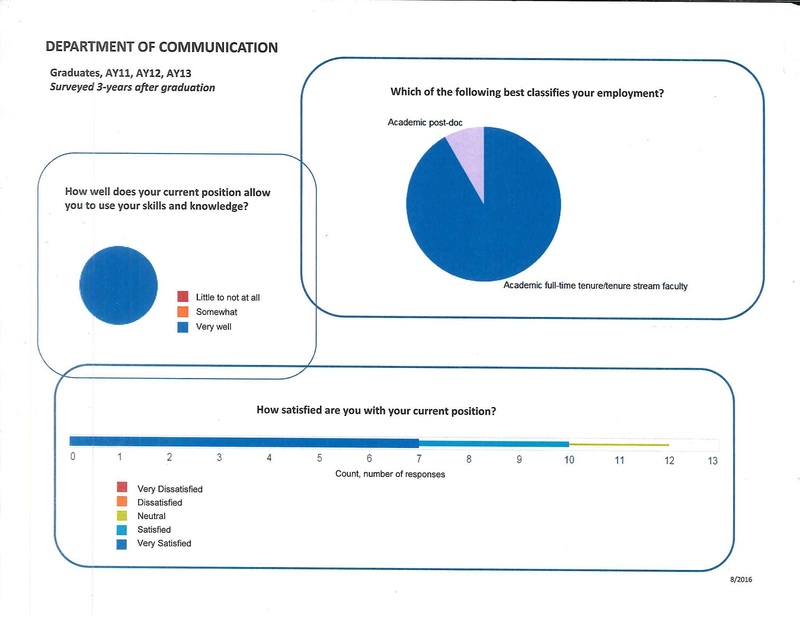 Additionally, we would like to recognize a departmental accomplishment, click here to view a survey of the last three years our alumni are saying about how prepared they were for their career. Our spotlight on alumni highlights the impact and successes of Department of Communication alumni. Tom Dunn gains recognition in his field. Our alumni display their achievements. Department of Communication alumni are conducting research and publishing the results in books and journals. Communication alum Cassidy Davis never thought she'd find research opportunities in her field. But through the Office of Undergraduate research, she developed her own unique project, examining gender stereotypes in modern sitcoms. Watch!